3rd Degree Black Belt in Judo. In addition, Master Yun has a B.S. Physical Education, from In Chon University, Kangki, Korea. 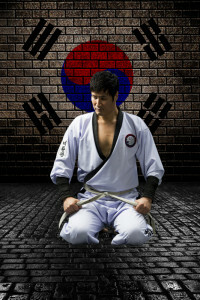 Master Yun has been an instructor in martial arts since 1995. He is well respected in the martial arts community across the Mid-Atlantic. But most importantly, he is loved by his students and instructors alike for his passion, his focus, commitment to learning, and obvious joy at helping others become better. You’ll find Master Yun studio at the studio every day. When not teaching, he’s meeting with students and parents, or giving bow blacks (the belt level before the first black belt) tips for preparing for the next black belt test. Here’s Master Yun doing a kick during one of the classes. He often participates in the class activities to demonstrate proper form and technique. 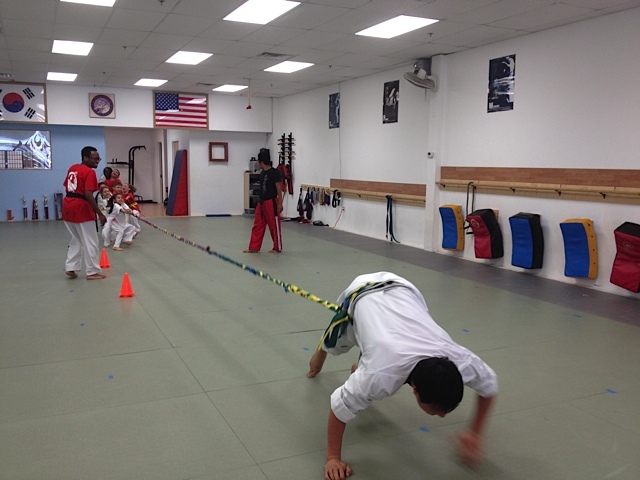 Here’s Master Yun playing Tug of War with the lower belt kids. Guess who won? 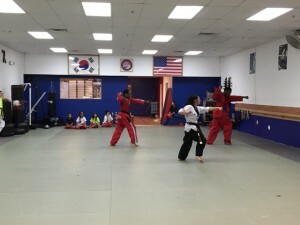 Whether it’s teaching a class of kids or adults, hosting a birthday party for a dozen six year olds, coaching the Be Ryong demo team, or teaching a bunch of moms self-defense, Master Yun is a warm but tough master. He commands respect, insists that students be kind and respectful within his studio, insists that black belts teach lower belt students, encourages everyone to “just try” and works hard to create a Be Ryong family. 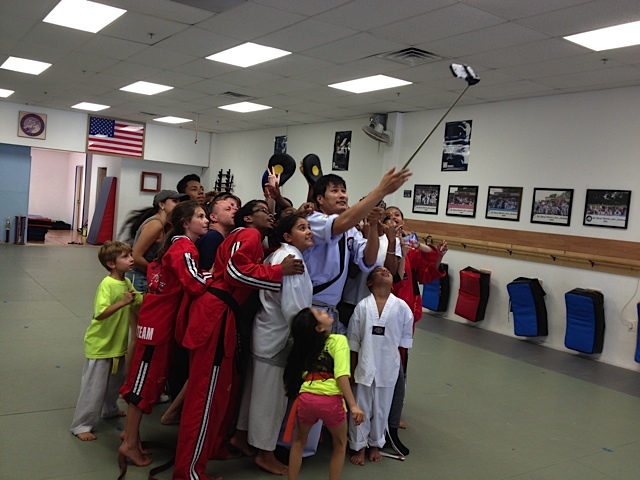 Here’s Master Yun taking a photo of himself with a group of students using his selfie stick.